Sunday, June 17th is Tessellation Day! This day was started up for all pattern-lovers by a group of math fans and a children’s book author. Emily Grosvenor, author of the kids’ book Tessellation!, took it upon herself to make this a day to celebrate shapes and patterns of the repeated, tiling kind. Tessellations have been celebrated for a long time. Tessellating patterns can be found in scores of ancient art and interior designs. Their beauty comes from their exactness of repetitiveness, and the fact that there is no space between the interlocking patterns. A tessellation or tiling is a way to cover something, usually a flat two-dimensional surface, by shapes that fit together perfectly so there are no gaps. 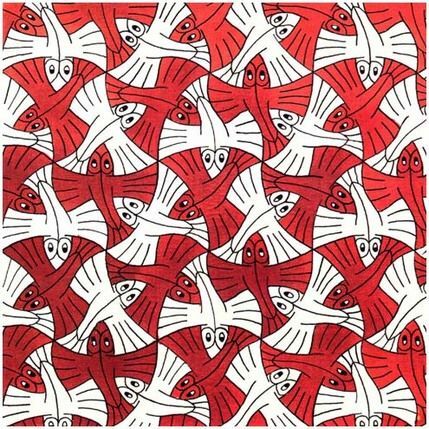 Usually when people think about tessellations, they imagine repeated patterns of polygons in the plane or shapes based on those patterns, like Escher’s fanciful frogs and fishes. But organic shapes or shapes that don’t repeat in a regular pattern are also valid tessellations. Tessellations are all around you. Look down. 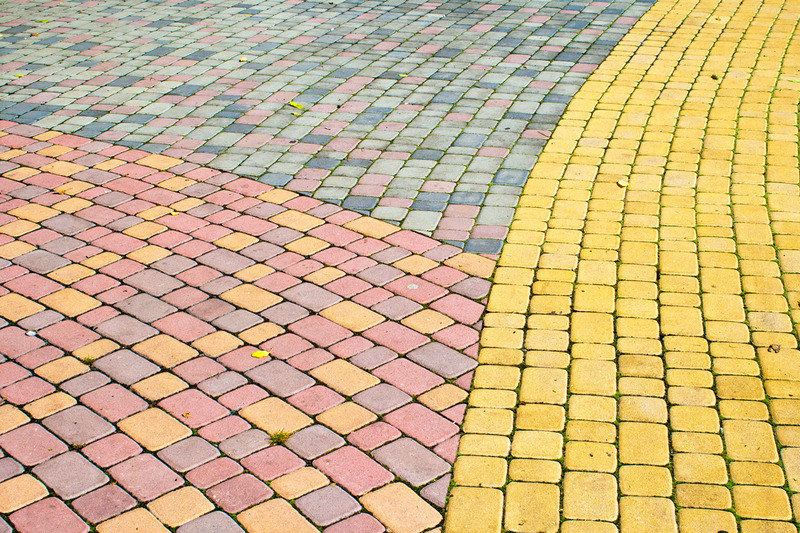 City planners and building designers frequently treat us to beautiful and interesting patterns in pavement and floor coverings. 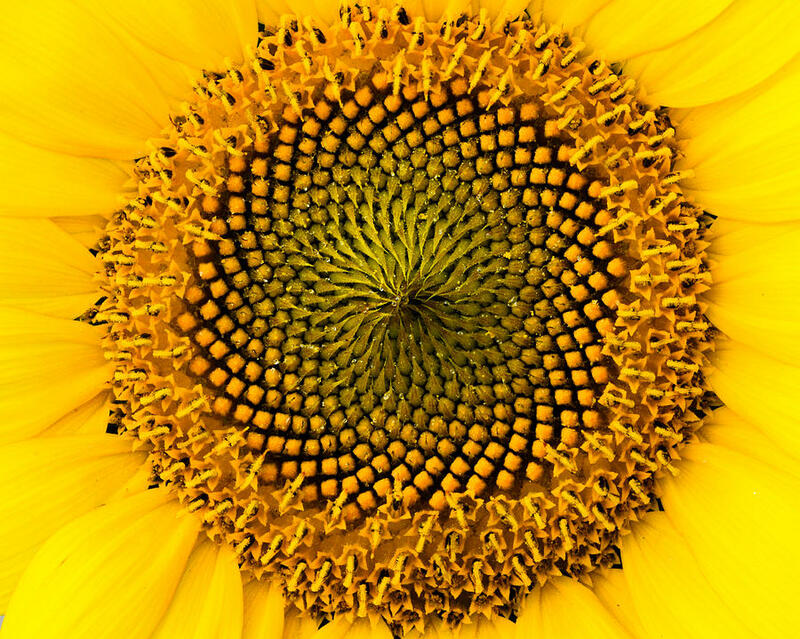 Brick walls, mosaics, scales on a fish, the center of a sunflower, soccer balls, all have patterns that repeat without spaces. Food is full of tessellations, too. Look at an ear of corn, crisscrosses on a pineapple, a honeycomb, or raspberries. And you may ask why June 17th? It also happens to be the birthday of M.C. Escher, the Dutch graphic designer and artist famous for his tessellations. Now those were some creative designs!